Angela has created these cute printable thank you notes for kids that are easy for them to fill out and send after their birthday party or even as a thank you for their Christmas gifts if they haven't sent those out yet. 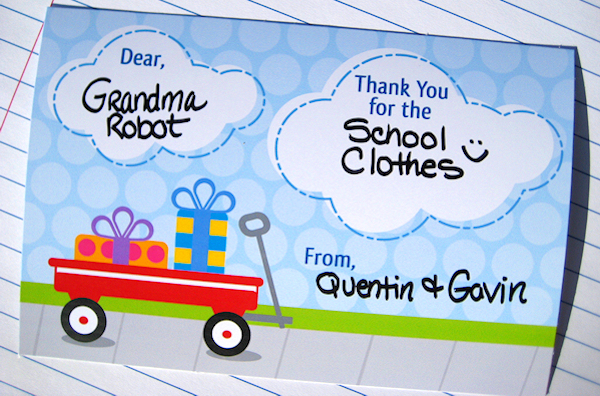 It is a cute design and a clever idea to make sending thank you notes a little more painless. You can download these cute free printable thank you notes for kids over at the Hello, Cuteness Facebook page.